As I have said many times before, “I love spring“! But where the “heck” is it this year, at up here in “God’s Country“! 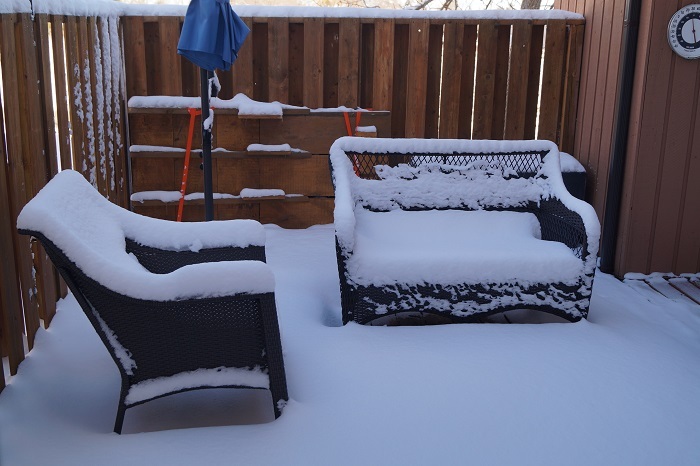 It’s April 1st, so perhaps “Mother Nature” is playing an “April Fools” joke on us? Oh well, I know that spring is really here, because Judi and I already have “itchy feet“! We are well in the process of deciding what parts of Ontario we are going to explore this year. In the meantime, we will either have to “dig out” or, my preference, wait until the “snow melts”! Hopefully we will see you somewhere “along the road“… “We’ll Be There“. As I mentioned above, Judi and I are planning our 2019 travel plans. One of things we have agreed upon is “visitor experience“. During each year, we only have so much time available to see and experience Ontario’s many Festivals and Events. I am sure that your feel the same way. That’s why it’s so important to find events that give you that “feeling“. Organizers must take this into consideration when they are planning their event. Great events know this and plan accordingly, and the event does not need to be large event to achieve a great “visitor experience”. Over the past 12+ years, Judi and I have visited plenty of small events that have given us that “feeling“. Hopefully you will your own “must visit” event! A new Ontario Visited website feature is “Ontario Community Spotlight“. Each month we “Spotlight” one of the many Ontario communities we have visited. Past “Spotlight Communities” have included Port Colborne and Goderich. April’s Spotlight Community is Buckhorn. The Village of Buckhorn is a high energy community that offers visitors and residents lots of fun activities. The activities focus many around the Buckhorn Community “Cultural” Centre and in the summer, Trent-Severn Lock 31. If your are looking for a festival or event this year, visit our Ontario Event Directory! 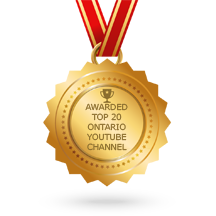 In addition to having 100’s of Ontario events listed (we’re adding more every day), you will find fun and informative about “Featured Events“, “Featured Upcoming Events“, “Ontario Event News” and a list of the “2018 FEO (Festivals & Events Ontario) Top 100 Events“. Click on the photo below to enter our Ontario Event Directory. 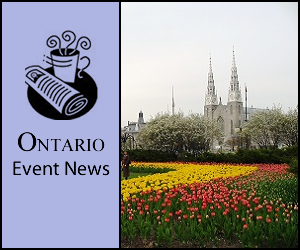 What’s New at Ontario Visited? 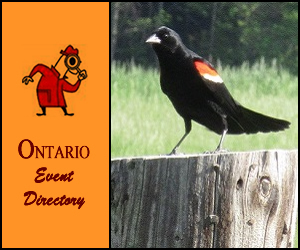 We are always trying to improve both our Ontario Visited and Ontario Event Directory websites. 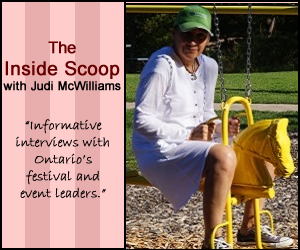 Over the past 12+ years, we have visited hundreds of Ontario communities and their festivals and events. 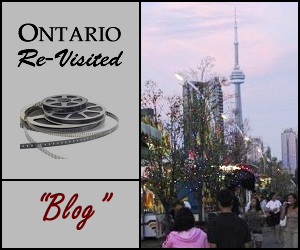 Our Ontario Visited website contains over a 150 authentic articles that include original photos and exclusive videos. 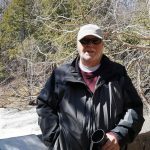 These articles tell the story of our amazing journeys throughout Ontario and, believe it not we have 100 more “BEEN THERE” adventures to document. These new tales are being added weekly! Our Ontario Event Directory is growing too. As mentioned above we are adding hundreds of new festival and event listings per week. As of right now there are over a 1,000 events to choose from! As I say, this list grow daily. However, there are other interesting features included. For example, we have our “Feature Spotlight“. Right now we are featuring the “Goderich Celtic Roots Festival & College“. Take a look at our video shown below for more information about this amazing event! 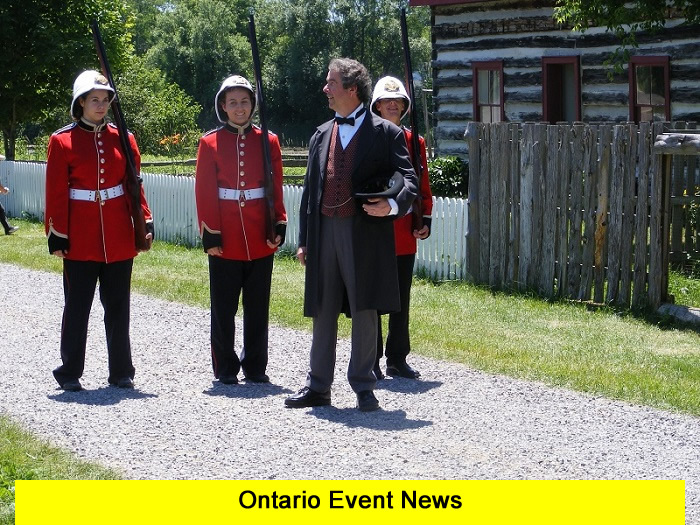 An other interesting features included on the Event Directory is our Ontario Event News page. This page offers visitors up-to-date event news. As in the past, we receive 100’s of relevant news posts monthly. Our aim is to keep our readers as informed as possible. 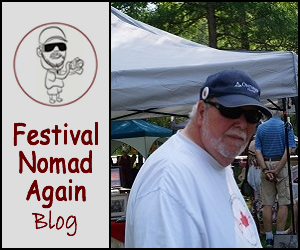 We moved the Event News page to the Directory so that our visitors have only “one website” to obtain current festival and event information… LISTINGS and NEWS. Event organizers now have the option to add their own information to both the Event Directory and the Event News. I have been thinking a lot about communities and their events. I am worried that governments (Federal, Provincial and Local) are losing site of what festivals and event mean to our communities and their economies. I realize that governments must watch their spending, all of us do, but cutting back, too far, on things that bring wealth into a community is “penny wise and pound foolish“. Think of a business that cuts back on its sales staff, how long will it last without sales? One such event that recently decided to “close doors” was the Mill Race Folk Festival. The reason for this long running event was lack of “new blood” and lack of funding. Personally I was very sorry to see this wonderful event cease to exist. Too many events have ceased to exist because they didn’t or couldn’t plan for the future. Lack for new committee members is one cause, people get tired and decide to quite or “pull back“. As a result the event dies a slow death. Another reason for an event to fail is the lack of financial planning. Events that count solely on government grants are eventually “doomed” for failure. Right now, with new governments (Provincial and Local) looking at their finances, grants and assistance is at an all-time low. I’ve of many communities and events scrambling for “new” money. It worries me that some of these events will not be back next year, What a shame if that happens! So, my advice to event organizers, “BE PREPARED“! Canada Day will be with us in a few months. Here’s last year’s tribute. 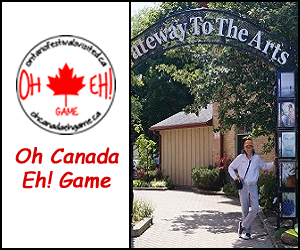 We are always trying to “get the word out” to let people know about Ontario Visited and all it has to offer both readers and advertisers. To do this, we market ourselves on various Social Media platforms, especially Facebook. Our results have been very good in the first quarter of 2019 and we look forward to even better results in the months to come. We have also placed Google AdWords on strategic “keywords and phrases“. If you are looking to promote your community and its events, you should contact us to see what Ontario Visited has to offer. Below is our latest ~ “What’s Happening this Spring at Ontario Visited?” video.